Bihar Opposition leader Tehashwi Yadav, the younger son of RJD chief Lalu Prasad, has opposed the reservation for economically weak among upper castes. 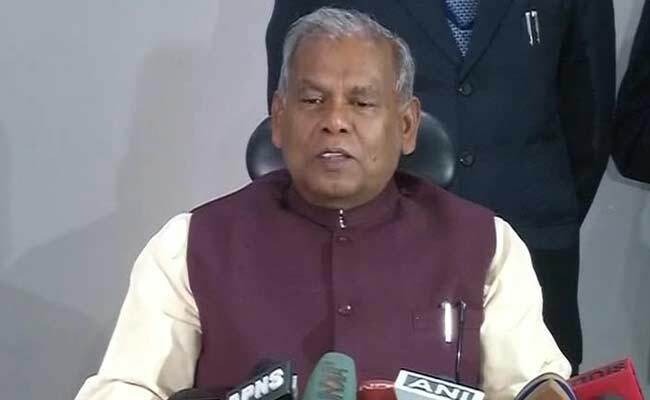 Former Bihar Chief Minister Jitan Manjhi said the quota should be increased to 10 per cent. Bihar Leaders Ram Vilas Paswan, Jitan Ram Manjhi welcomed Union Cabinet's decision to approve 10 per cent reservation for economically backward upper castes in jobs and educational institutions. The Central government is likely to introduce a constitutional amendment bill in Parliament on Tuesday to push for 10 per cent extra reservation for economically-deprived sections among general categories. Lok Janshakti Party (LJP) chief Ram Vilas Paswan and former Bihar Chief Minister Jitan Ram Manjhi welcomed the 10 per cent reservation for poor upper caste people. Both the leaders said that they had also pushed for reservation. Going a step further, Jitan Manjhi said they should be given 15 per cent reservation instead of just 10 per cent. On the other hand, Bihar Opposition leader Tehashwi Yadav, the younger son of RJD chief Lalu Prasad, has opposed the reservation for economically weak among upper castes. "There is no provision for such a reservation in the Constitution," he said. RJD's new ally Rashtriya Lok Samta Party (RLSP) chief and former Union Minister Upendra Kushwaha also termed the latest decision as another "jumla" and demanded to make public caste census.